The reliable ARO 3:1 diaphragm pump provides High Volume Outputs with gentle pumping action. 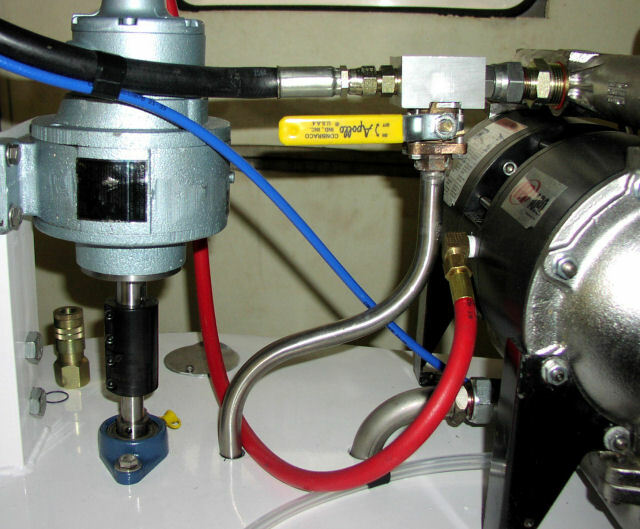 This pump system has NO troublesome pistons, cylinders or seals to create high maintenance caused by the coarseness of the typical granite chips. 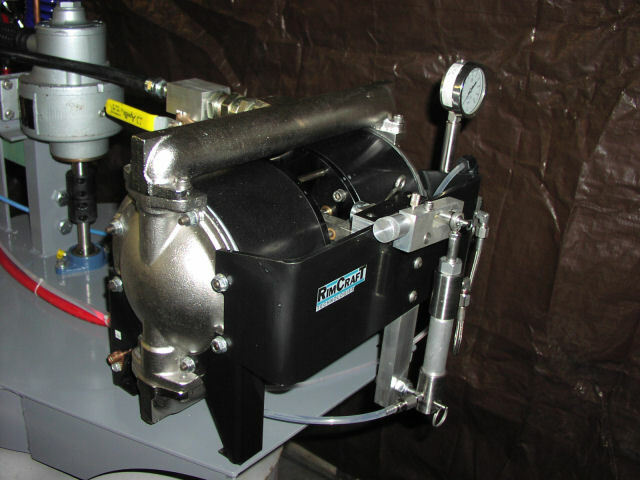 The catalyst is metered by a mechanically linked slave pump, utilizing the advantages provided by a rugged and powerful diaphragm pump. 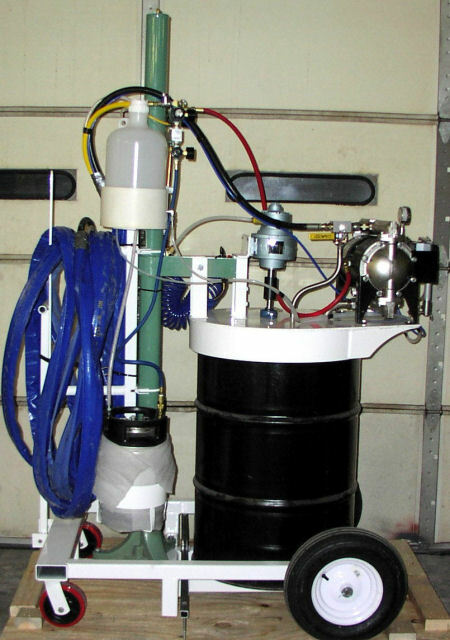 RimCraft RCP-4000 Catalyst Pump. Adjusts catalyst ratio with simple turn of the knob. 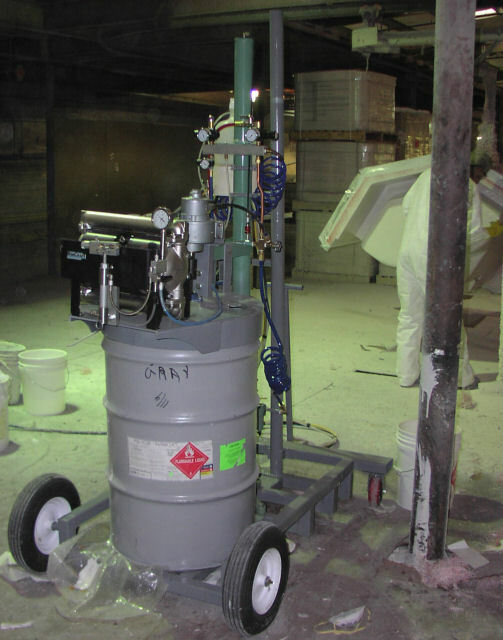 Solvent assisted air purge for easy cleaning of gun. Leaves no residual material in gun. 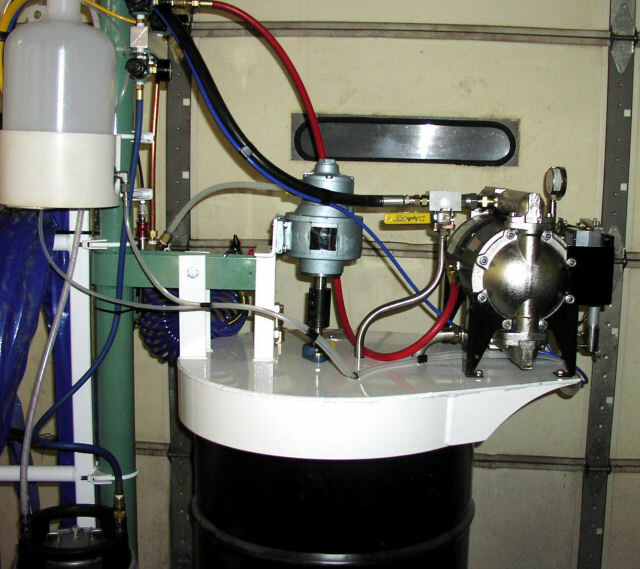 2.5-gallon Stainless Steel solvent tank. 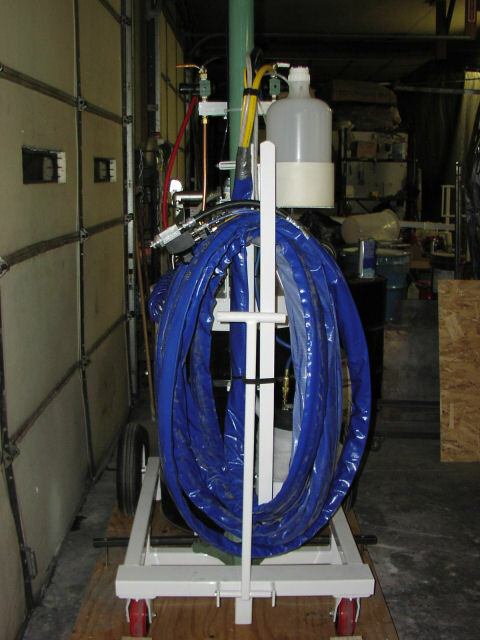 The new RimCraft Granite GelCoat Spray System uses simplicity to provide reliability in a rugged, severe-duty package. The Big Chipper saves you TIME & MONEY! 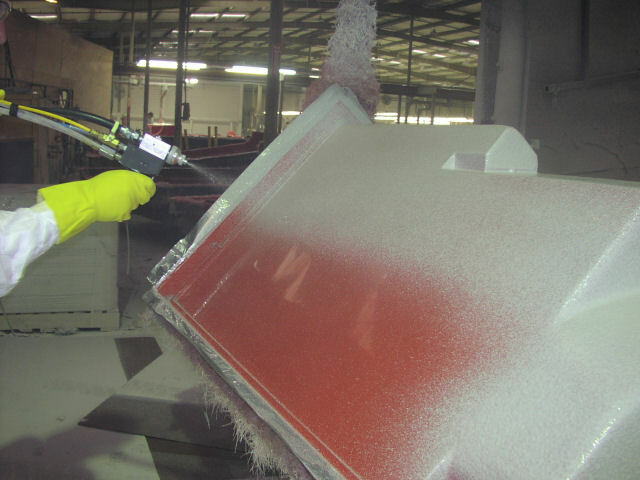 Faster spraying, especially with Coarser Gelcoats. Lower Costs by reduced maintenance and downtime.